The Battle of Blackheath | Cornwall For Ever! The Battle of Blackheath was fought between a Cornish army and the army of England’s King Henry VII. The Cornish army badly frightened King Henry and caused panic in London. The king’s army won the battle and captured the Cornish leaders. The battle was the main conflict during the Cornish risings of 1497. An Vatel Blackheath a hwarva yntra lu kernewek ha lu Myghtern Henry VII a Bow Sows. 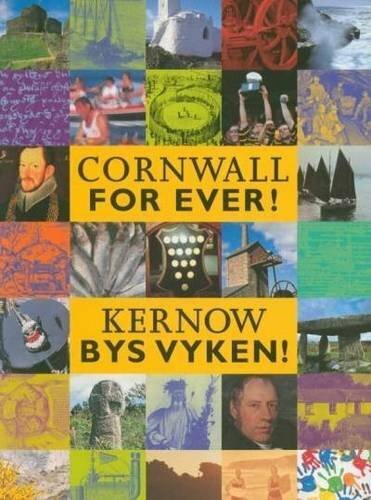 An lu kernewek a ownekhas Myghtern Henry yn feur ha kawsya skruth yn Loundres. Lu an myghtern a waynyas an vatel ha kachya hembrenkysi an Gernowyon. An vatel o an gas jyf dres an sordyansow kernewek a 1497. King Henry VII had made Cornish people angry by closing their Stannary Parliament and taxing them to pay for his war with Scotland. The Cornish decided they would march to London to demand an end to the taxes. The Cornish gathered an army of nearly 15,000 people, led by Michael Joseph An Gof, who was a blacksmith (metal worker) from St Keverne and Thomas Flamank, a lawyer from Bodmin. The Cornish army marched all the way from Cornwall, across southern England, towards London. News that a Cornish army was marching towards London caused great fear. The royal family took shelter in the Tower of London and men were ordered to defend London’s gates and walls. Noble men from across England rushed to London with their own soldiers to defend the king from the Cornish. Before long, the king’s army had grown to 25,000 men. At the time, this was one of the largest armies ever gathered by a king of England. The Cornish army reached Blackheath, four miles from London, on 16th June. During the night some people in the Cornish army became scared and left to go home. By morning, the army was reduced to around 10,000 soldiers. On the morning of Saturday 17th June, the Cornish army lined up opposite the king’s army at a bridge at Deptford Strand. The bows and arrows used by the Cornish archers were longer and more powerful than those used by the king’s army. The Cornish placed their archers near the bridge and killed a number of the king’s soldiers as they tried to cross. Eventually, the king’s army got across the bridge. The Cornish had no reserve soldiers to defend the bridge and the archers moved back to join the rest of their army on Blackheath. The king’s army was commanded by Baron Daubeney. As he led the charge up Blackheath, he was captured by Cornish soldiers, but was soon rescued by his own troops. The Cornish army had no artillery (cannons), or cavalry (soldiers on horses). Most had no experience of fighting a battle and they only had basic weapons. The king’s army was more than twice the size of the Cornish army. Soon, the king’s soldiers surrounded the Cornish and it was clear that they could not win. The Cornish army was defeated. Many were taken prisoner, including the leaders Michael Jospeh An Gof, Thomas Flamank and Baron Audley. We do not know for certain how many were killed in the battle – perhaps as many as 2,000 Cornish soldiers and 300 of the king’s soldiers. Michael and Thomas were executed (killed) by the king for leading the Cornish army. They were hanged, drawn and quartered (their bodies cut into four pieces). The king planned to send the pieces of their bodies to Cornwall as a warning to other people not to rise against him, but was too scared of how Cornish people would react. The king was right to be scared. Later that year, the Cornish rose against him again. Who took part in the Cornish rising of 1497? People from all over Cornwall took part in the rising against Henry VII. A document dated 10th November 1498 pardons (officially forgives) the people of Stratton in north Cornwall for their part in it. The people of Stratton did not pay the fine until the following year. Fifty priests and 69 women were also involved in the rising.